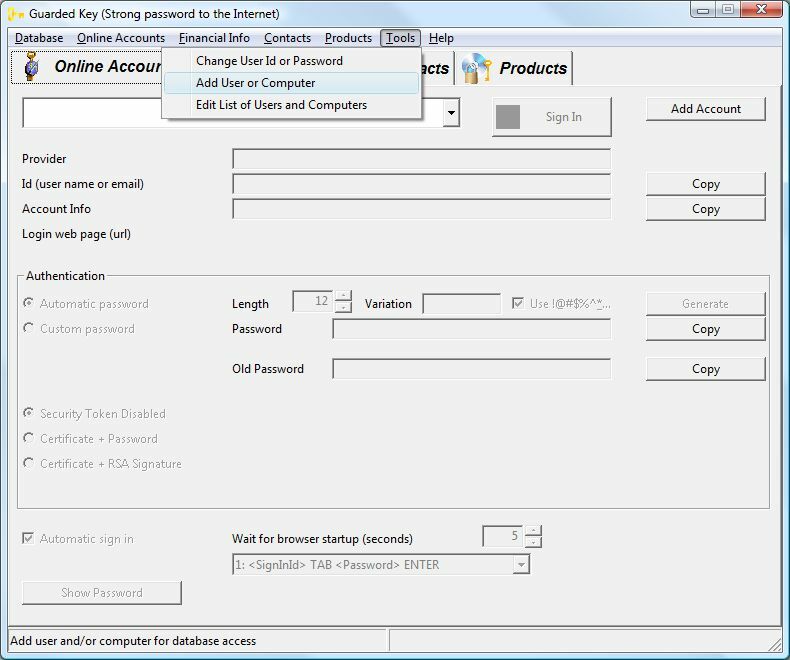 This feature allows you to grant access to Guarded Key database only if the application is launched on an authorized computer. This has one big advantage - if you lose USB drive with your portable Guarded Key, nobody can easily decipher the database and the list of authorized computers makes it even harder despite the fact that users might use weak or short passwords. Open menu Tools > Add User or Computer. You will be prompted for User Id and Password to verify your identity before allowing any changes to the list of credentials. Enter user id and password. Any user which has access to the database can do this (not only administrator). That means that users can add all their computers into the list. The application will show dialog "Add User or Computer". 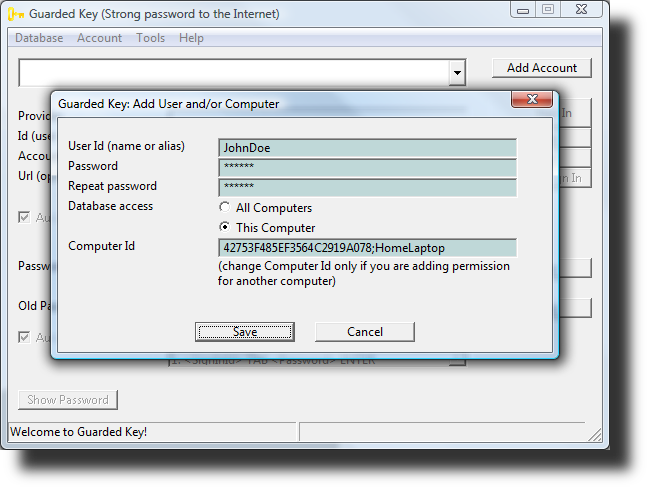 Enter User Id and Password (you can use the same password for all computers) or let the user enter his/her Password. Then select radio button "This Computer" and "Computer Id" field will show identification of the computer on which you are currently running the application. Press "Save" button. If you would like to specify another computer you will have to know it's computer Id. You can add upto 255 credentials with user+computer combination. 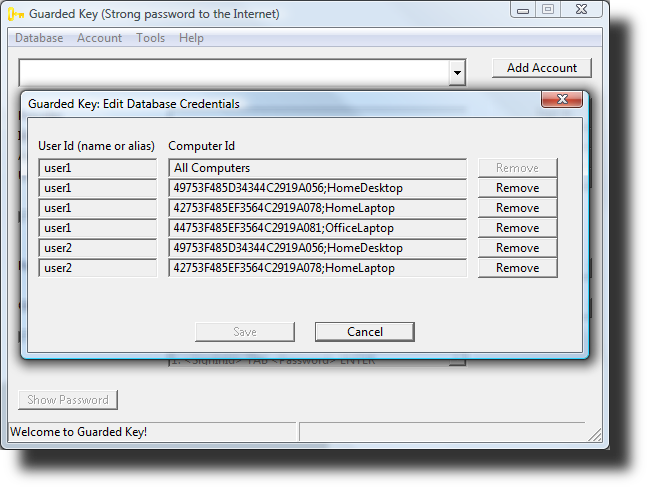 Only authorized user can view/edit list of credentials stored in Guarded Key database.